Travis found this in our kitchen. I heard him scream and when I ran into the room he was pointing in terror at this little thing lying on its back in the middle of the floor. 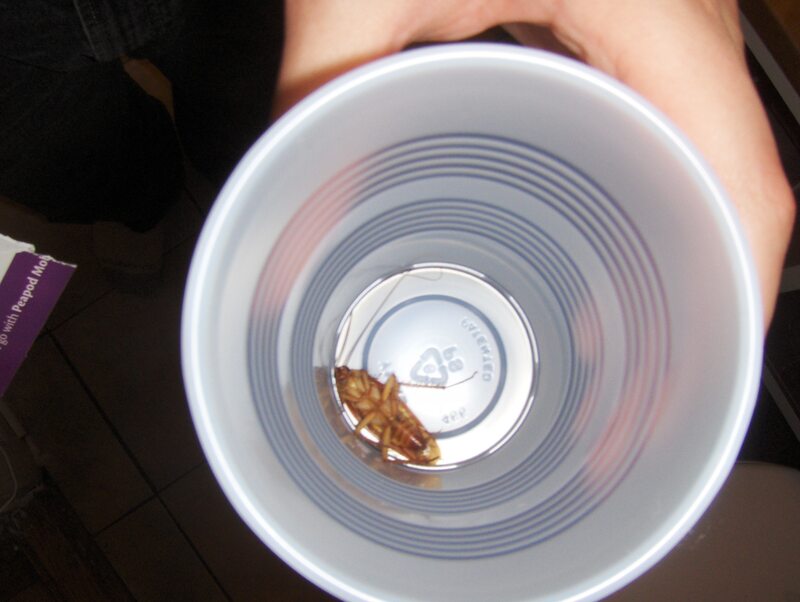 Travis had a cockroach scare when he first moved in, so he bought a ton of boric acid and lined our entire apartment with it. If cockroaches come into contact with boric acid, it dries out their exoskeleton, and they slowly die. That is why we found this one pathetically kicking its creepy little legs in the air, in the throes of death. EEEWWW!!!! You accidentally wrote “scream” instead of “war cry”.